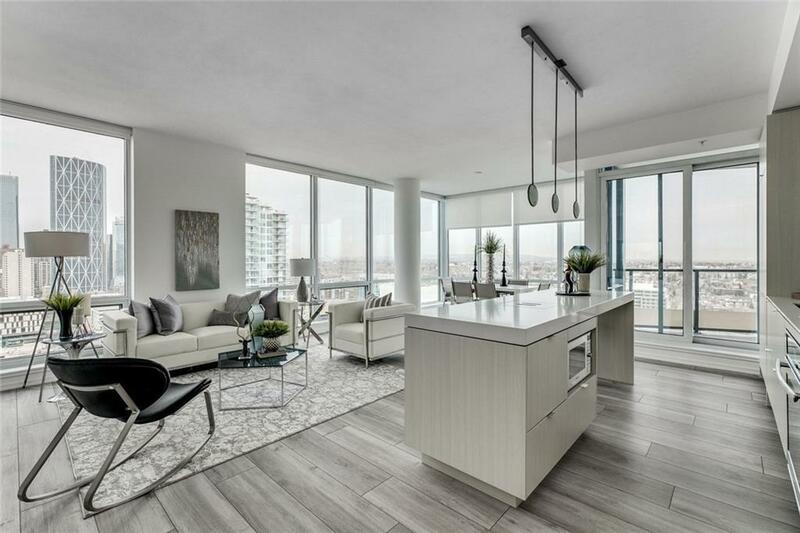 This BRAND-NEW SUB PENTHOUSE 2-bedroom 2 bathroom + DEN luxury condo with unparalleled downtown and river views, floor to ceiling windows, and 2 TITLED PARKING STALLS is Exceptional value. 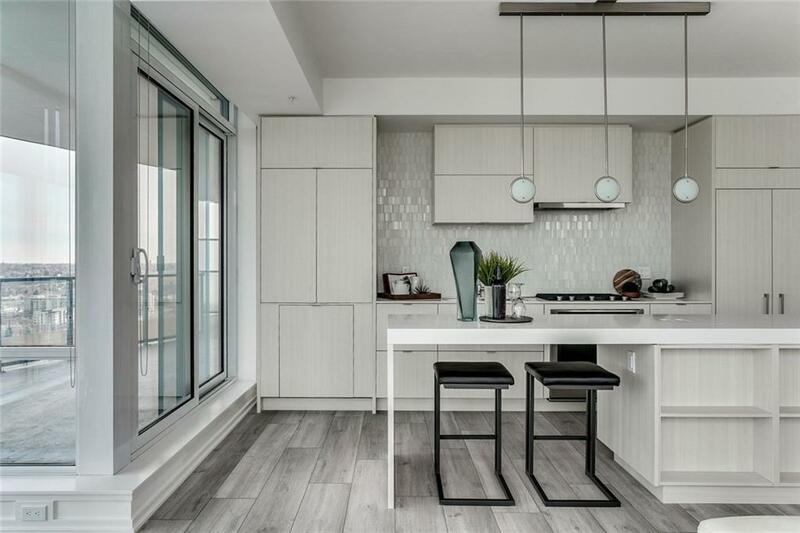 Modern and sophisticated, this contemporary design features wide plank flooring discrete window coverings, quartz counters, stainless steel appliances, European inspired fireplace, and a large balcony overlooking the river. 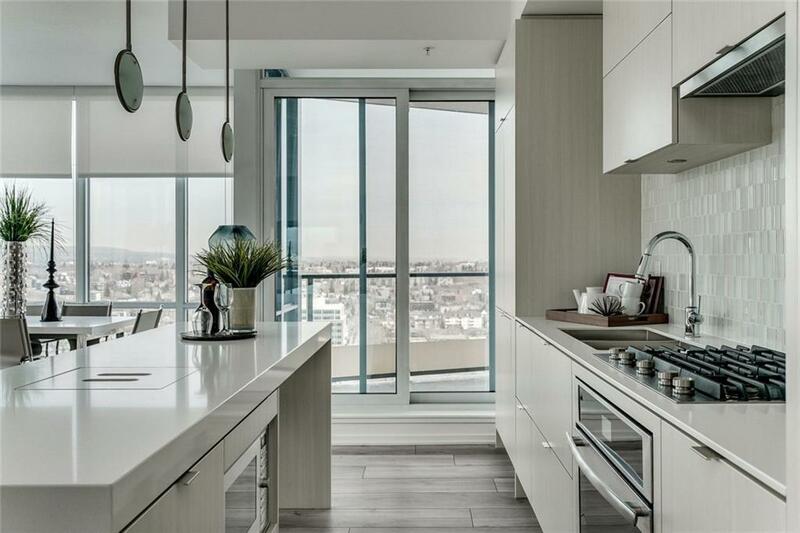 Designed by the prestigious developer FRAM and Slokker, VERVE in East Village is contemporary and sleek offering stunning city and river views, rooftop terrace, additional entertaining areas including fire pit, hot tub, fitness facility, a tech room, guest suites, concierge, and a fabulous location within walking distance to the National Music Center, New public library, Calgarys entertainment district, Stampede Park as well as numerous restaurants, coffee shops, and bars. 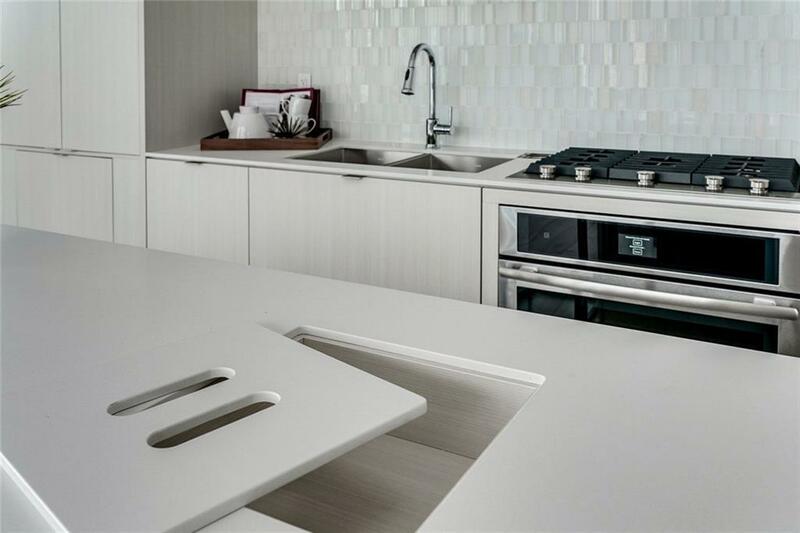 With in suite laundry, A/C, heated secure underground parking, storage lockers and much more, this is well worth viewing.